Whether you want to use a slightly more modernized version of "The Story-teller at Fault" or the original, it's useful (and fun!) 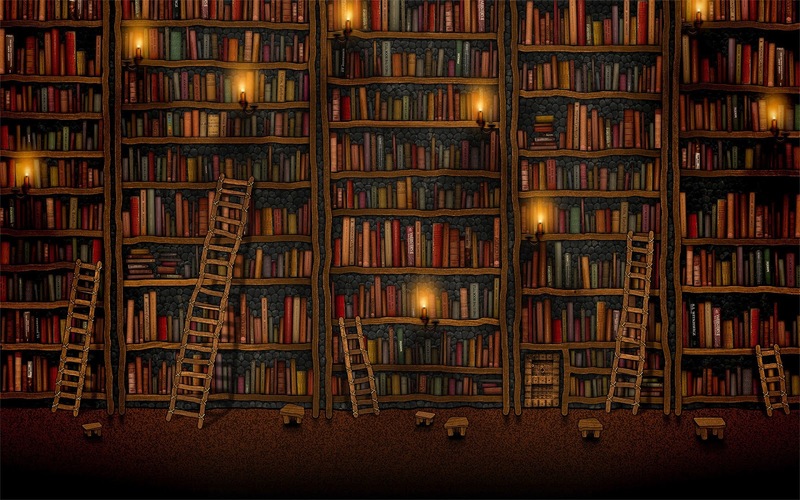 to find a story where the storyteller has no idea what to say. Yes, I know it happens so rarely. 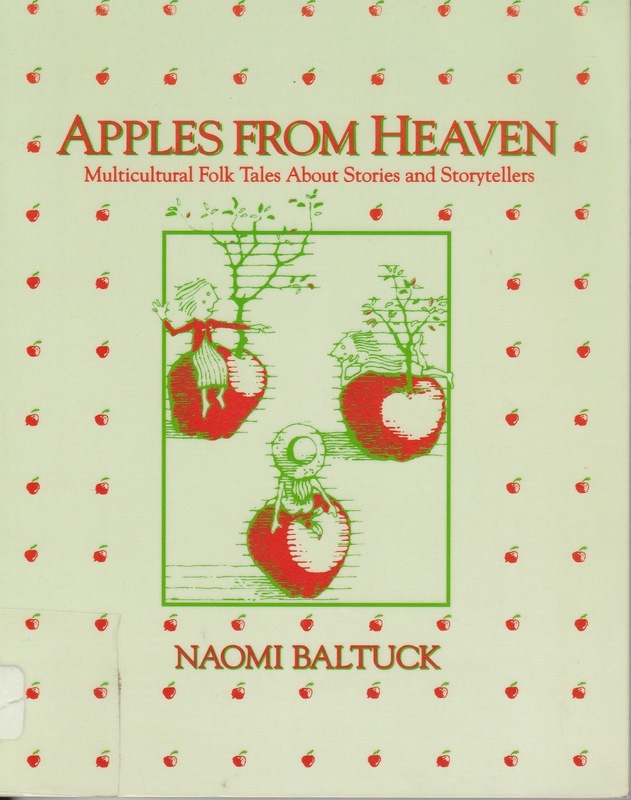 but you can also find it somewhat revised in a retelling in Naomi Baltuck's book about "Stories and Storytellers", Apples from Heaven: Multicultural Folk Tales about Stories and Storytellers published by Linnet Books. Literary stories and also stories from the times covered by Public Domain often benefit from re-telling. To give you a taste of how Naomi Baltuck changed it, I suggest you compare it with her version since today's article is indeed about having your own way of telling. I'm comfortable you will find her version respects Jacobs, who himself was collecting stories from the oral tradition. That tradition is part of the folk process and deserves to remain living, breathing, personally interpreted. After all, that's what live storytelling is all about! My own copy wouldn't be as well reproduced, nor would Jacobs' book hold up to my scanning it. 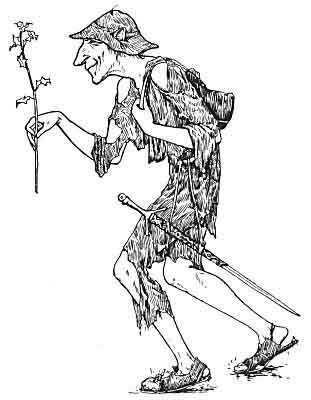 This faithful version, complete with the original illustrations by John D. Batten, is online, along with other stories from Celtic Fairy Tales can be found at places like Sacred-texts.com and the Baldwin Project so it's better to use their work here. Both sites also give Jacobs' "Notes and References" section. Frankly that section is quite dry, but does show the tale has roots that go way back. At the end of today's story I want to give ideas for you to create your own version of this old Celtic tale. who had three sons" or "one day the king of all Ireland," but further than that he could not get. At length he went in to breakfast, and found his wife much perplexed at his delay. "Why don't you come to breakfast, my dear?" said she. "I have no mind to eat anything," replied the story teller; "long as I have been in the service of the king of Leinster, I never sat down to breakfast without having a new story ready for the evening, but this morning my mind is quite shut up, and I don't know what to do. I might as well lie down and die at once. I'll be disgraced for ever this evening, when the king calls for his story-teller." Just at this moment the lady looked out of the window. "Do you see that black thing at the end of the field?" said she. "I do," replied her husband. They drew nigh, and saw a miserable looking old man lying on the ground with a wooden leg placed beside him. "Who are you, my good man?" asked the story-teller. Oh, then, 'tis little matter who I am. I'm a poor, old, lame, decrepit, miserable creature, sitting down here to rest awhile." "An' what are you doing with that box and dice I see in your hand?" "I am waiting here to see if any one will play a game with me," replied the beggar man. "Play with you! Why what has a poor old man like you to play for?" "I have one hundred pieces of gold in this leathern purse," replied the old man. wife; "and perhaps you'll have something to tell the king in the evening." A smooth stone was placed between them, and upon it they cast their throws. It was but a little while and the story-teller lost every penny of his money. "Much good may it do you, friend," said he. "What better hap could I look for, fool that I am!" "Will you play again?" asked the old man. "Don't be talking, man: you have all my money." "Haven't you chariot and horses and hounds?" "I'll stake all the money I have against thine." "Nonsense, man! Do you think for all the money in Ireland, I'd run the risk of seeing my lady tramp home on foot?" "Maybe you'd win," said the bocough. "Maybe I wouldn't," said the story-teller. "Play with him, husband," said his wife. "I don't mind walking, if you do, love." "I never refused you before," said the story-teller, "and I won't do so now. Down he sat again, and in one throw lost houses, hounds, and chariot. "Will you play again?" asked the beggar. "Are you making game of me, man; what else have I to stake?" "I'll stake all my winnings against your wife,' said the old man. The story-teller turned away in silence, but his wife stopped him. "Accept his offer," said she. "This is the third time, and who knows what luck you may have? You'll surely win now." They played again, and the story-teller lost. No sooner had he done so, than to his sorrow and surprise, his wife went and sat down near the ugly old beggar. "Is that the way you're leaving me?" said the story-teller. "Sure I was won," said she. "You would not cheat the poor man, would you?" "Have you any more to stake?" asked the old man. "You know very well I have not," replied the storyteller. "I'll stake the whole now, wife and all, against your own self," said the old man. Again they played, and again the story-teller lost. "Well! here I am, and what do you want with me?" "I'll soon let you know," said the old man, and he took from his pocket a long cord and a wand. "Now," said he to the story-teller, "what kind of animal would you rather be, a deer, a fox, or a hare? You have your choice now, but you may not have it later." To make a long story short, the story-teller made his choice of a hare; the old man threw the cord round him, struck him with the wand, and lo! a long-eared, frisking hare was skipping and jumping on the green. But it wasn't for long; who but his wife called the hounds, and set them on him. The hare fled, the dogs followed. Round the field ran a high wall, so that run as he might, he couldn't get out, and mightily diverted were beggar and lady to see him twist and double. In vain did he take refuge with his wife, she kicked him back again to the hounds, until at length the beggar stopped the hounds, and with a stroke of the wand, panting and breathless, the story-teller stood before them again. "And how did you like the sport?" said the beggar. "It might be sport to others," replied the story-teller looking at his wife, "for my part I could well put up with the loss of it." "Would it be asking too much," he went on to the beggar, "to know who you are at all, or where you come from, or why you take a pleasure in plaguing a poor old man like me?" "Oh!" replied the stranger, " I'm an odd kind of good-for-little fellow, one day poor, another day rich, but if you wish to know more about me or my habits, come with me and perhaps I may show you more than you would make out if you went alone." "I'm not my own master to go or stay," said the story-teller, with a sigh. "By all you heard and saw since I put you into my wallet, take charge of this lady and of the carriage and horses, and have them ready for me whenever I want them." Scarcely had he said these words when all vanished, and the story-teller found himself at the Foxes' Ford, near the castle of Red Hugh O'Donnell. He could see all but none could see him. O'Donnell was in his hall, and heaviness of flesh and weariness of spirit were upon him. "Go out," said he to his doorkeeper, " and see who or what may be coming." shoes full of cold road-a-wayish water sousing about him, the tips of his two ears out through his old hat, his two shoulders out through his scant tattered cloak, and in his hand a green wand of holly. "Save you, O Donnell," said the lank grey beggarman. "And you likewise," said O'Donnell. "Whence come you, and what is your craft?" A night on the cold hillside." "It's the great traveller you are," said O'Donnell. "Maybe you've learnt something on the road." "I am a juggler," said the lank grey beggarman, "and for five pieces of silver you shall see a trick of mine." "You shall have them," said O'Donnell; and the lank grey beggarman took three small straws and placed them in his hand. "The middle one," said he, "I'll blow away; the other two I'll leave." "Thou canst not do it," said one and all. But the lank grey beggarman put a finger on either outside straw and, whiff, away he blew the middle one. "’Tis a good trick," said O'Donnell; and he paid him his five pieces of silver. "For half the money," said one of the chief's lads, "I'll do the same trick. "Take him at his word, O'Donnell." The lad put the three straws on his hand, and a finger on either outside straw and he blew; and what happened but that the fist was blown away with the straw. "Thou art sore, and thou wilt be sorer," said O'Donnell. "Six more pieces, O'Donnell, and I'll do another trick for thee," said the lank grey beggarman. "Seest thou my two ears! One I'll move but not t'other." "’Tis easy to see them, they're big enough, but thou canst never move one ear and not the two together." The lank grey beggarman put his hand to his ear, and he gave it a pull. O'Donnell laughed and paid him the six pieces. "Call that a trick," said the fistless lad, " any one can do that," and so saying, he put up his hand, pulled his ear, and what happened was that he pulled away ear and head. "Sore thou art, and sorer thou'lt be," said O'Donnell. "Well, O'Donnell," said the lank grey beggarman, strange are the tricks I've shown thee, but I'll show thee a stranger one yet for the same money." "Thou hast my word for it," said O'Donnell. With that the lank grey beggarman took a bag from under his armpit, and from out the bag a ball of silk, and he unwound the ball and he flung it slantwise up into the clear blue heavens, and it became a ladder; then he took a hare and placed it upon the thread, and up it ran; again he took out a red-eared hound, and it swiftly ran up after the hare. "Now," said the lank grey beggarman; "has any one a mind to run after the dog and on the course?" "I will," said a lad of O'Donnell's. "Up with you then," said the juggler; "but I warn you if you let my hare be killed I'll cut off your head when you come down." The lad ran up the thread and all three soon disappeared. After looking up for a long time, the lank grey beggarman said: "I'm afraid the hound is eating the hare, and that our friend has fallen asleep." Saying this he began to wind the thread, and down came the lad fast asleep; and down came the red-eared hound and in his mouth the last morsel of the hare. He struck the lad a stroke with the edge of his sword, and so cast his head off. As for the hound, if he used it no worse, he used it no better. "It's little I'm pleased, and sore I'm angered," said O'Donnell, "that a hound and a lad should be killed at my court." "Five pieces of silver twice over for each of them," said the juggler, "and their heads shall be on them as before." Thou shalt get that," said O'Donnell. Five pieces, and again five were paid him, and lo! the lad had his head and the hound his. And though they lived to the uttermost end of time, the hound would never touch a hare again, and the lad took good care to keep his eyes open. Scarcely had the lank grey beggarman done this when he vanished from out their sight, and no one present could say if he had flown through the air or if the earth had swallowed him up. king. 'Twas the hour he was wont to hear a story, but send he might right and left, not a jot of tidings about the story-teller could he get. "Go to the door," said he to his doorkeeper, "and see if a soul is in sight who may tell me something about my story-teller." The doorkeeper went, and what he saw was a lank grey beggarman, half his sword bared behind his haunch, his two old shoes full of cold road-a-wayish water sousing about him, the tips of his two ears out through his old hat, his two shoulders out through his scant tattered cloak, and in his hand a three-stringed harp. "What canst thou do?" said the doorkeeper. "I can play," said the lank grey beggarman. "Never fear," added he to the story-teller, "thou shalt see all, and not a man shall see thee." When the king heard a harper was outside, he bade him in. "It is I that have the best harpers in the five-fifths of Ireland," said he, and he signed them to play. They did so, and if they played, the lank grey beggarman listened. Heardst thou ever the like?" said the king. "Did you ever, O king, hear a cat purring over a bowl of broth, or the buzzing of beetles in the twilight, or a shrill tongued old woman scolding your head off?" "That I have often," said the king. "More melodious to me," said the lank grey beggarman, "were the worst of these sounds than the sweetest harping of thy harpers." When the harpers heard this, they drew their swords and rushed at him, but instead of striking him, their blows fell on each other, and soon not a man but was cracking his neighbour's skull and getting his own cracked in turn. When the king saw this, he thought it hard the harpers weren't content with murdering their music, but must needs murder each other. "Hang the fellow who began it all," said he; "and if I can't have a story, let me have peace." Up came the guards, seized the lank grey beggarman, marched him to the gallows and hanged him high and dry. Back they marched to the hall, and who should they see but the lank grey beggarman seated on a bench with his mouth to a flagon of ale. Never welcome you in," cried the captain of the guard, "didn't we hang you this minute, and what brings you here?" "Is it me myself, you mean? "Who else?" said the captain. "May your hand turn into a pig's foot with you when you think of tying the rope; why should you speak of hanging me?" Back they scurried to the gallows, and there hung the king's favourite brother. Back they hurried to the king who had fallen fast asleep. "Please your Majesty," said the captain, "we hanged that strolling vagabond, but here he is back again as well as ever." "Hang him again," said the king, and off he went to sleep once more. they found the king's chief harper hanging where the lank grey beggarman should have been. The captain of the guard was sorely puzzled. "Are you wishful to hang me a third time?" said the lank grey beggarman. "Go where you will;" said the captain, "and as fast as you please if you'll only go far enough. It's trouble enough you've given us already." "Now you're reasonable," said the beggarman; "and since you've given up trying to hang a stranger because he finds fault with your music, I don't mind telling you that if you go back to the gallows you'll find your friends sitting on the sward none the worse for what has happened." As he said these words he vanished; and the story-teller found himself on the spot where they first met, and where his wife still was with the carriage and horses. "Now," said the lank grey beggarman, "I'll torment you no longer. There's your carriage and your horses, and your money and your wife; do what you please with them." "For my carriage and my horses and my hounds," said the story-teller, "I thank you; but my wife and my money you may keep." "No," said the other. "I want neither, and as for your wife, don't think ill of her for what she did, she couldn't help it." Not help it! Not help kicking me into the mouth of my own hounds! Not help casting me off for the sake of a beggarly old ——-"
King of Leinster. This morning my magic told me the difficulty you were in, and I made up my mind to get you out of it. As for your wife there, the power that changed your body changed her mind. Forget and forgive as man and wife should do, and now you have a story for the King of Leinster when he calls for one;" and with that he disappeared. It's true enough he now had a story fit for a king. From first to last he told all that had befallen him; so long and loud laughed the king that he couldn't go to sleep at all. And he told the story-teller never to trouble for fresh stories, but every night as long as he lived he listened again and he laughed afresh at the tale of the lank grey beggarman. A few times earlier I've posted stories from Joseph Jacobs. Very little is available about him personally. 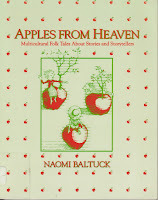 This repeats my earlier information on him: While he was Australian, Jacobs is best known for his collections of English and Celtic folklore and I've earlier posted a little of his Aesop fables. Here's the Wikipedia overview of him, but it doesn't begin to tell why his versions are still valued...they are flat out well told. I mentioned earlier giving ideas for you to create your own version of this old Celtic tale. As I worked my way through the story these came to me, but surely they are just a launching point and you may have other ideas to try. Have you ever felt like "The Story-teller at Fault" with no idea what you could possibly say? Storytellers today often post a request for help on a topic. The international email list hosted by the National Storytelling Network, Storytell, and even more international, Professional Storyteller, give internet ways to network. P.S, is less active and more likely to lead to private discussion, but either are an option not available before the internet. Does your version want to include or eliminate the storyteller using that option? Would family or friends be part of your efforts to have a story? Remember the wife's reactions and response to the storyteller's efforts. Where might you be while trying to come up with a story? 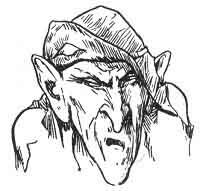 What kind of character (possibly a "Daemon in the box" of your computer?) would conduct you on your journey to a story? Would it be done using a game? If so, how is it played? What losses would you have? This all reminds me of my favorite type of bet -- a mental bet, which of course means you lose your mind! One might say that happened here. Will you be transformed to an animal or . . . ? What problems does that create? Remember stories are all about having a problem to solve. The mysterious visitor also might take you invisibly on a journey where you witness someone else sucked in gradually by the visitor's tricks. Something about this invisible witnessing reminds me of the three visits Scrooge makes in Christmas Carol. That being "sucked in gradually" could occur earlier with the storyteller, condensing the story. The essence of this version is witnessing incidents that could never occur. It could be a dream, hallucination, or you could do a more realistic version. Jacobs' Notes and References mention a possibility of this story going back to 1362, but he thinks it's even older. By now you may even have recognized this story has its own tale type (always a great resource for creating a story or finding an existing story). It's sometimes called "The Boy (or Man) Who Had No Story" and is given as Irish tale type 2412B because of Venerable Bede's account in the late 7th or early 8th century about the poet Caedmon, but both Scottish and Irish versions have traveled around the isles for probably far longer. If you prefer the modern Aarne-Thompson motif, it's M231.1Bd. If talk of motifs and tale types confuse you, don't worry, just know it's been kicking around long enough to survive your playing with it . . .but lets you (and your own audience) know its roots go way back. This reminds me, you're going to find many of the links on these sites have gone down, BUT go to the Internet Archive Wayback Machine to find some of these old links. Tim's site is so huge, probably updating it would be a full-time job. In the case of Story-Lovers, it's great that Jackie Baldwin set it up to stay online after she could no longer maintain it. For an example of using the "Wayback Machine", list member, Papa Joe is on both Time Sheppard's site and Story-Lovers, but he no longer maintains his old Papa Joe's Traveling Storytelling Show website and his Library (something you want to see!) is gone, but you can still see it. I put in his site's address, then chose 2006 since it was a later year and clicked until I reached the Library at http://www.pjtss.net/library/. "Can't think of a thing to say"